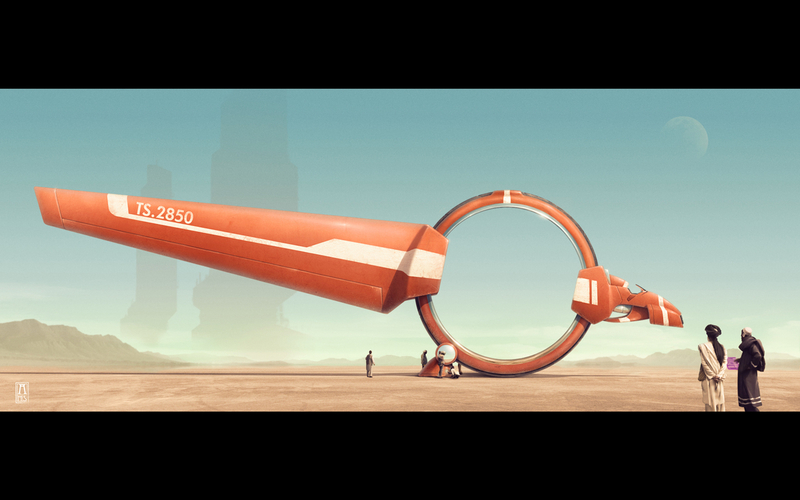 Here is my submission to the Syd Mead challenge. This is what is known as a Rotavolo. In particular a TS.2850 model, The most powerful and advanced land racing vehicle ever built. Known throughout fans and racing syndicates as Hyper Dragons, they're a single wheel vehicle driven up front similar to motorcycles. At their prime, Hyper Dragon races were the most watched events in human history, a true united global event. But as death tolls rose, many national governments made the races illegal, deeming them far too dangerous. In time, the races were made illegal in almost all countries, causing a very swift and unforeseen global economic meltdown. With such instability, Many out of work drivers turned to a more lucrative career in crime and piracy, modifying their Hyper Dragons and forming clans. Able to reach speeds over 300mph and transporting them long distances very efficiently, these clans were very successful at creating an extremely fast and powerful force.